"Its color is usually a full, firm, bright ruby, carmine or intense garnet with purplish highlights. The bouquet is partly of black fruits (blackcurrant, bilberry) and partly of red, pitted fruits such as cherries. Variants include bramble, violet, liquorice, and fruits conserved in liquor. When older it often evokes the wildwood scents of game, leather, and moss, even truffle. Sustained and structured, this wine lingers in the mouth without flinching - it has just the right balance between body and fruit. With its rounded tannins and mouth-filling generosity, it sings tenor, so to speak, in the Burgundian choir." This is almost as elegant as the Taillepieds with its pure red pinot fruit nose that exhibits additional breadth in the form of spice and soft earth hints. There is a beguiling texture to the discreetly mineral-inflected middle weight flavors that culminate in a delicious, balanced and saline finish. In a word, lovely. 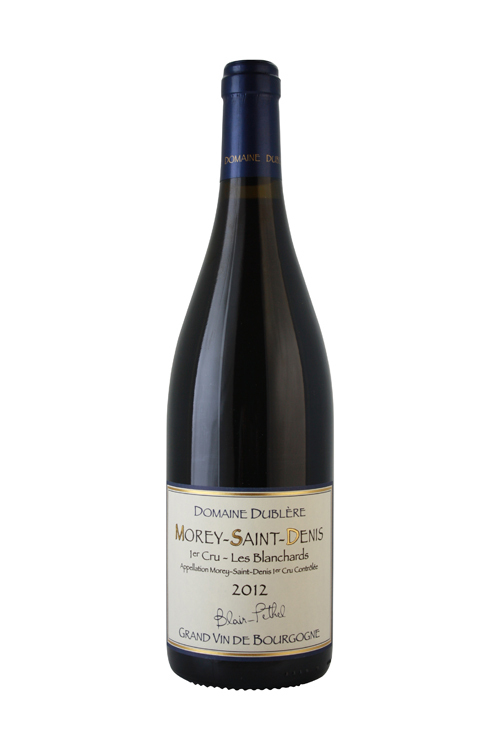 Despite having four grand crus - five if you include the small portion of Bonnes-Mares - the small appellation of Morey-Saint-Denis has historically been overlooked in favor of its neighbors - Gevrey-Chambertin and Chambolle-Musigny. From north to south, its grand crus are: Clos de la Roche, Clos Saint-Denis, Clos des Lamnbrays, and Clos de Tart, totalling 40 hectares in area under vines, which at their best, are every bit as impressive as the Cote de Nuit’s other great vineyards. Most of the commune’s twenty premier crus lie just below the grand crus and uncommonly account for less area, with just 33 hectares. Although the commune is predominantly planted with Pinot Noir, there are some Chardonnay and even Pinot Blanc vines across the hillside with some interesting examples coming from premier cru Les Blanchards and Monts Luisants to name a few.